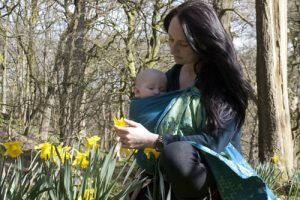 Anyone purchasing a wrap or sling from Shire Slings will be considered to have taken full responsibility for the safe and considered use of the product, and that all necessary steps have been taken to ensure that the wrap or sling is used in a manner which ensures the safety of any child carried in said wrap or sling. Please ensure that you have read the Sling Safety section on this site before using any of our products. 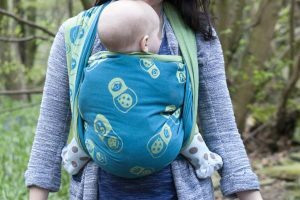 As part of our agreement to provide you with a Shire Slings product, we require you to be fully aware of the content of the Sling Safety section. Whilst we endeavour to ensure the accuracy of our colour images on this website, we cannot be held responsible for any inaccuracy or misunderstanding due to colour images not seeming to match the actual product they portray. Computer monitor set ups vary enormously so it is impossible to ensure colours appear the same from one computer screen to another We do not store any credit or debit card information at Shire Slings or on the Shire Slings servers. All credit and debit card transactions are carried out using PCI compliance by our payment gateway providers, Paymentsense and Paypal YOU ARE ADVISED TO PRINT AND RETAIN THESE TERMS FOR YOUR RECORDS. By placing an Order and purchasing goods from Shire Slings you enter into a legally binding agreement with us on the following Conditions. You should read and understand these Conditions because they affect your rights and liabilities. These are the Standard Terms and Conditions of Sale of Shire Slings Ltd, 7 Victoria Street, Deighton, Huddersfield, West Yorkshire. HD2 1JB (“the Seller”, “We” or “Us”) for certain products as set out in the pages on this site (“the Goods”). Subject to the provisions of Clause 4.2 below, the price of the Goods the delivery charges and Value Added Tax where applicable is set out on the Order Form. In accordance with the provisions of the Consumer Protection (Distance Selling) Regulations 2000, you have the right to withdraw from this transaction. Details of your right to withdraw can be found in Clause 9 below. THESE CONDITIONS DESCRIBE THE BASIS FOR PURCHASE BY YOU AND SALE BY US OF THE PRODUCTS DESCRIBED ON THIS WEB SITE. 1.2 Reference to any statute or statutory provisions shall be deemed to include any statutory modifications or re-enactments thereof or any rules or regulations made thereunder or any enactment repealing and replacing the act referred to. 1.3 Unless the context otherwise requires:- 1.3.1 words importing the singular shall include the plural and vice versa; 1.3.2 words importing the masculine gender shall include the feminine gender and vice versa; 1.3.3 references to persons shall include bodies of persons whether corporate or incorporate. 1.4 Unless the context otherwise requires references to clauses shall be construed as references to clauses of these Conditions. 1.5 Headings are inserted for convenience only and shall not affect the construction or interpretation of these Conditions. 2.1 We shall sell to you and you shall purchase only those goods which you have set out in an order and which have been accepted by us. We reserve the right to reject any order. Unless otherwise agreed in writing each such sale of Goods will be subject to these terms and conditions. 2.2 No Order submitted by you shall be deemed to be accepted by us unless and until confirmed by e-mail or in writing by us. We reserve the right to reject any order after any confirmation email has been received by you. 2.3 No variation to these Conditions shall be binding upon us unless and until agreed by e-mail or in writing by us. 2.4 Any error or omission in any information or document issued by us shall be subject to correction provided that the correction does not materially affect the contract. 3.1 The quantity, quality and description of the Goods will be those set out in your Order (if accepted by us). 3.2 Orders are accepted at our sole discretion but are normally accepted if the Goods are available, the order reflects current pricing, you are based in the Delivery Area and your Payment Card is authorised for the transaction. 3.3 You or we are entitled to withdraw from any contract in the case of obvious errors or inaccuracies regarding the Goods appearing on our website. 3.4 You shall be responsible for ensuring the accuracy of the terms of any Order submitted by you, and for giving us any necessary information relating to the Goods within a sufficient time to enable us to perform the Contract in accordance with its terms. 3.5 The quantity, quality and description of and any specification for the Goods shall be those set out in the relevant pages of this site. 3.6 We reserve the right to make changes in the specification of the Goods which are required to conform with any applicable statutory or EC requirements. 4.1 The price of the Goods shall be the price set out on the relevant page of this site. We reserve the right to change the prices set out on this site provided that if we accept an order from you the price for the goods will be the price set out in the relevant range at the time the order is placed. 4.2 If the price of the Goods increases between the date we accept your Order and the delivery date, we will let you know and ask you to confirm by e-mail/in writing that the new price is acceptable. If it is not acceptable then you will, of course, have the option of cancelling the order. 4.3 The price of the Goods does not include insured postage or packaging. There will be an additional charge made relative to the size and amount of Goods insured for postage and packaging. This charge will be clearly shown on the Order form. 4.4 The total price is inclusive of any applicable value added tax. 5.1 Upon providing us with details of the Payment Card and submitting the Order you : 5.1.1 confirm and undertake that the information contained within the Order is true and accurate and that you are duly authorised to use the Payment Card; and 5.1.2 authorise us to deduct from the Payment Card account the full price of the Goods and all other payments which may become due to us under the Contract. 5.2 If it is not possible to obtain full payment for the Goods from your account on delivery of the Goods to you, we can cancel the Order or suspend any further deliveries to you. This does not affect any other rights we may have. 5.3 Where Goods are returned by you in accordance with your rights under the provisions of Clause 9, we shall credit the Payment Card with the appropriate amount. 5.4 We will not pass your personal information on to any third party without your permission. Unless solely due to our negligence we cannot be held liable for any losses you may suffer. If in any event your payment card is used fraudulently you are entitled to cancel the payment and be reimbursed by the card issuer without being charged for the loss. 6.1 Delivery of the Goods shall be made by us or our carrier to the address for delivery shown in the Order Form. It is important that this address is accurate. Please be precise about where you would like the Goods left if you are out when we deliver. Once the Goods have been delivered in accordance with your delivery instructions, you will be responsible for them. Our responsibility for everything other than damage due to our negligence or due to a manufacturing design or design fault will cease upon delivery. 6.2 We will do all that we reasonably can to meet the date given for delivery or, if no date has been agreed, within 30 days of the order date. We cannot be held responsible for delays beyond our control. If we are unable to make the delivery date we will contact you. If delivery cannot be made within 30 days of the given delivery date you will be entitled to either arrange a revised date or cancel the order and receive a full refund. If we are able to make delivery in advance of the given date we will contact you. 6.3 If the order is a multiple order and we are unable to make delivery of the whole order but are able to deliver part we will contact you, informing you of this, and delivery will be on a mutually agreed date. In this instance delivery will be said to be made in instalments. Each delivery shall constitute a separate contract and any failure by us to deliver any one or more of the instalments in accordance with these conditions, or any claim by you in respect of any one or more instalments will not entitle you to treat the contract as a whole as repudiated. 6.4 If we fail for any reason within our control to fully/partially deliver your Goods any reimbursement shall be no more than the price of the Goods, together with any delivery and/or reasonable return costs. 6.5 Either party is entitled to cancel the contract in respect of non-performance of obligations in relation to delivery. 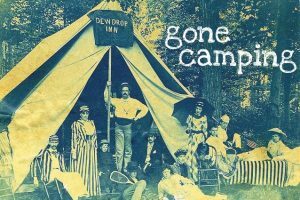 If cancelled we will refund you any monies already paid by you and any reasonable return costs incurred by you. 7.1 As soon as we have delivered the Goods or services, you will be responsible for them. If you delay a delivery our responsibility for everything other than damage due to our negligence will end on the date we agree to deliver them, as set out in the contract. 7.2 Subject to the provisions of clause 9 and notwithstanding delivery and the passing of risk in the Goods, or any other provision of these Conditions, the property in the Goods shall not pass to you until we have received in cash or cleared funds payment in full of the price of the Goods. Goods supplied to you are not for resale. reject the Goods and receive a full refund; or have the Goods (or the part in question) replaced free of charge, if available. Any claims made after 14 days of delivery or exceeding a reasonable time of discovery, we shall be entitled to either: replace the Goods (or the part in question) free of charge or at our sole discretion refund to you the price of the Goods (or a proportionate part of the price) and we shall have no further liability to you. i) there is no breach of a legal duty of care owed to you by us or by any of our employees or agents; ii) such loss or damage is not a reasonably foreseeable result of any such breach; iii) any increase in loss or damage resulting from breach by you of any term of this contract. In the event that you are using the supply address in part for commercial purposes then no liability for loss of profits or other economic loss arising out of a breach of this agreement can be accepted. 8.6 Subject to our obligations, and your rights under the Regulations, we shall not be liable to you or be deemed to be in breach of the contract by reason of any delay in performing, or any failure to perform, any of our obligations in relation to the Goods if the delay or failure was due to any cause beyond our reasonable control. 8.7 We assume no responsibility for the contents of any other web sites to which this Web Site has links. 8.8 It is your responsibility to use our products with discretion. We do not accept liability for the misuse of our products. We accept no liability for deterioration of the products due to incorrect storage conditions. You should ensure that the products are stored according to label instructions and are kept in hygienic conditions to minimise the risk of deterioration of the product resulting from external factors. 9.1 You have a cooling off period of 14 days after the date on which you have received the Goods to cancel the Contract, and return the Goods at your cost and receive a full refund of the purchase price and any delivery cost. (When returning goods, please use a standard road service if returning from the EC, or a standard air mail service if returning from the rest of the world. Also please ensure there is suitable compensation in case of loss or damage.) 9.2 During the cooling off period any cancellation must be given by written notice by either party. 9.3 Goods must be returned complete, unused and undamaged with all accessories and instructions, and be suitable for resale. The original packing must be returned in its original condition. 9.4 The right to cancel this contract will not apply in respect of: Personalised Goods or Goods made to your specification; 9.5 In the event that we supply substituted Goods to you in accordance with the provisions of Clause 2, your right to cancel is as set out as above except that the cost of returning the Goods shall be borne by us. 10.1 Any communication sent electronically by e-mail or otherwise: 10.1.1 will be deemed to have been sent once it enters an Information System outside the control of the originator of the message; 10.1.2 will be deemed to have been received by the intended recipient at the time that in a readable form it enters an Information System which is capable of access by the intended recipient; 10.1.3 will be deemed to have been dispatched in the case of a business at its principal place of business and in the case of an individual where he or she ordinarily resides; 10.1.4 will be deemed to have been received in the case of a business at its principal place of business and in the case of an individual where he or she ordinarily resides. 10.2 To protect your own interests you should ask for a delivery receipt for any such and retain a hard copy of that delivery receipt and the original correspondence. 11.1 All copyright, trade marks and all other intellectual property rights in this Website and its content (including without limitation the Website design, text, graphics and all software and source codes connected with the Website) are owned by or licensed to Shire Slings. 11.2 In accessing the Website you agree that you will access the content solely for your own personal, non-commercial use. None of the content may be downloaded, copied, reproduced, transmitted, stored, sold or distributed in any way whatsoever without the prior written consent of the copyright holder. 12.1 Any communication sent by post will be deemed received by the intended recipient three days following mailing where sent by first class post or five days after mailing where sent by second class post. 12.2 The clauses of these Conditions and each sub-clause thereof are several and if any part of any clause or sub-clause shall be void, invalid or unenforceable then the remainder of such clauses or sub-clauses shall nevertheless be valid and enforceable. 12.3 No term of the Contract is intended to confer a benefit on, or be enforceable by, any person who is not a party to the Agreement (whether under the Contracts (Rights of Third Parties) Act 1999 or otherwise). 12.4 If any provision of these Conditions is held by any court or competent authority to be invalid, unlawful or unenforceable in any jurisdiction in whole or in part, it will not affect the validity or enforceability of the other provisions of these Conditions and the remainder of the provision in question shall not be affected nor will it affect the validity, lawfulness or enforceability of that provision in any other jurisdiction. 12.5 We will try and solve any disagreements quickly and efficiently. If you are not happy with the way we deal with any disagreement and you want to take court proceedings you must do so within Great Britain. 12.6 The headings in these Conditions are for convenience only and will not affect their interpretation. This website and its content is copyright of Shire Slings – © 2014. All rights reserved.